A Perfect Circle has added a new handful of tour dates to the band’s upcoming fall tour. The trek will kick off Oct. 20 in West Valley City, Utah, and run through a Phoenix, Arizona, date on Nov. 20. The new concerts include stops in Detroit, Lexington, Kentucky and more. A Perfect Circle is also set to perform at this year’s Voodoo festival in New Orleans, which is scheduled for Oct. 26 to 28. For information, head to APerfectCircle.com. 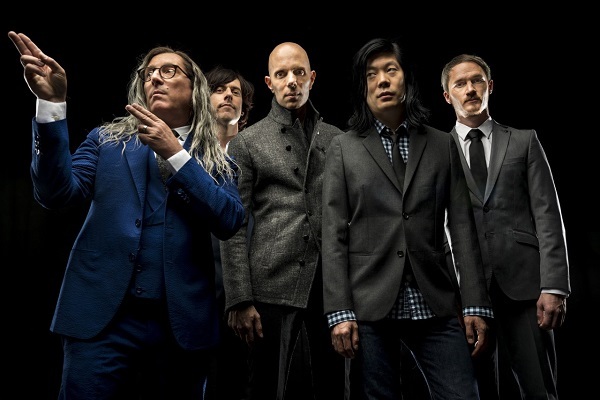 In other news Maynard James Keenan and the crew have debuted the music video for their track “The Contrarian,” a song from the group’s latest studio album, “Eat the Elephant.” The video is ominous and mysterious, in A Perfect Circle tradition, and streaming via YouTube. The video is also a 2D clip from the “Eat the Elephant” hologram album. The 3D hologram comes as part of the deluxe edition of “Eat the Elephant,” which runs $125 at A Perfect Circle’s official website.